Influential Book Packager of Non-Fiction Books and Founder of Chanticleer Press, Inc. and Chanticleer Co.
As an émigré publisher from Vienna, Paul Steiner became one of the first so-called “book packagers” of illustrated non-fiction books in the United States. From the 1950s on, he exerted significant influence on the development of this book format in the country. Many of the illustrated books, encyclopedias, and guides to culture, art, history, geography, and nature he developed and produced for and in cooperation with notable American publishing houses—including the innovative wildlife identification books created in cooperation with the Audubon Society—set new standards in terms of quality and design. As part of the internationalization of the publishing business after World War II, these lavishly illustrated publications were also distributed in the German-language market. Like his mentor, the Hamburg-born pioneer of paperback publishing Kurt Enoch, Steiner belonged to a generation of German-speaking immigrants who helped to shape the publishing business in the United States. Paul Steiner’s early career was rooted in the commercial publishing world of interwar Europe. 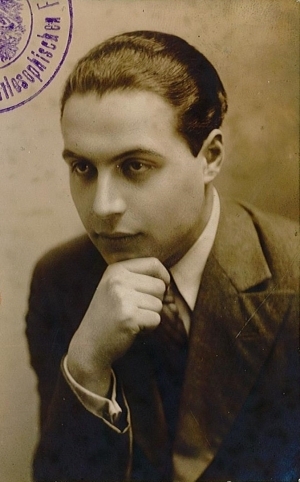 He was born in Vienna, Austria on January 1, 1913 as the younger of two sons of the wealthy Jewish textile merchant Geza Steiner (1872–1923) and his wife Ilona (née Singer, 1885–1943). Raised in a bourgeois, secular, and culturally open-minded environment, Steiner’s childhood was shaped by an interest in art, literature, music, and the latest philosophical trends, including the theories of Sigmund Freud. However, his father’s premature death, financial misfortune, and the economic conditions in Vienna at the time of the Great Depression greatly weakened the family’s situation and eventually caused it to lose most of its wealth. Steiner, who was deeply impressed by the philosophy of Friedrich Nietzsche and the music of Richard Wagner and who admired Thomas Mann and Egon Friedell, with whom he was also acquainted, wanted to embark on a career as a journalist or writer. After finishing commercial school, however, he was forced to take a number of other jobs to support his family. Yet he also wrote articles for the daily Neue Freie Presse, for whose owner and editor-in-chief, Ernst Benedikt, Steiner served as a private secretary from July 1934 until August 1935. A childhood friend of Steiner named Wolfgang Foges had meanwhile established, with the financial support of a Jewish heiress, a small magazine publishing house called Moderne Welt Verlag whose main publication was the eponymous magazine, a monthly devoted to fashion, cosmetics, sports and society. Its core business, however, was a number of customer magazines subscribed to by department stores and beauty salons across the German-speaking parts of Europe. From 1935 on, Steiner served as editor and, later, editor-in-chief of the Moderne Welt Verlag and acquired a comprehensive knowledge of the publishing business. Alongside his professional life, he obtained his higher education entrance qualification in 1936 and began to study law. He took the first of three state exams in early 1938, but by March of that year the Anschluss had drastically changed the political situation in Austria; the Moderne Welt Verlag passed into other hands and the staff was “Aryanized.” Steiner was admonished to leave the country. He managed to get his mother to safety by taking her to his brother in Belgium. He then tried to enter the Netherlands as a traveling salesman of the Moderne Welt Verlag, but was deported. Eventually, Steiner received a U.S. visa that allowed him to travel to Brussels in late 1938 and from there to London, where he stayed for a little while with Wolfgang Foges who had already emigrated. Steiner initially rejected Foges’ offer to join his company in London. In February 1939, Steiner traveled to the United States where he stayed with distant relatives in Akron, Ohio. He eked out a living as a sales representative, roofer, and warehouseman before moving to New York in July 1941 to establish a U.S. subsidiary of Foges’ company under the name Chanticleer Press. In New York, he took up lodgings with the Esbergs, an upper middle-class Jewish family that had fled Germany in 1938 and had since similarly managed to build a new life in New York with the help of friends. Steiner became close to the Esbergs’ daughter, Marianne, who shared his interest in art, culture, and music. In February 1942, the two were married and a year later their son, Thomas, was born. In 1945, Steiner was granted American citizenship. When the British backers wanted to withdraw their support from Adprint, and thus from its American subsidiary, Steiner bought up the company in 1952 with the aid of his own financiers and with the support of Marianne’s brother, Andreas Esberg, an accountant. In the decades that followed, Steiner turned the company, now called Chanticleer Press, Inc., into an internationally successful producer of non-fiction books. A branch of the business called Chanticleer Company, in which Steiner’s son Thomas also worked from the 1970s on, assumed responsibility for the organization, execution, and quality control of high-quality prints and reproductions. In particular, Chanticleer Company handled modern four-color prints, often on behalf of publishing houses and museums in, among others, New York, Paris, and the Vatican. Jane Friedman, former Vice-President of Random House, similarly cites the Audubon field guides developed by Steiner as one of the most successful book series in the history of the publishing house (Paul Steiner: Liber Amicorum 1997, 17). In the late 1980s, illness forced Paul Steiner to resign from his position as publisher and chief executive. Andrew Stewart, former CEO at Abrams Publishers, took over the management of Chanticleer Press in 1987 and led the company until it officially ceased operations in 2005. Saur, Klaus G. "Deutsche Verleger im Exil 1933 bis 1945." in Parallelwelten des Buches: Beiträge zu Buchpolitik, Verlagsgeschichte, Bibliophilie und Buchkunst: Festschrift für Wulf D. von Lucius, ed. Monika Estermann, Ernst Fischer, and Reinhard Wittmann, 211–232. Wiesbaden: Harrassowitz, 2008. Fischer, Ernst. Verleger, Buchhändler und Antiquare aus Deutschland und Österreich in der Emigration nach 1933. Ein biographisches Handbuch. Elbingen: Verband deutscher Antiquare, 2011. Kinross, Robin. "Design in Central-European London: Interactions between Émigrés and Natives in the 1940s." Typography Papers 8 (2009): 105–112. N.N. Paul Steiner: Liber Amicorum. New York: Chanticleer Press, 1997. Thomas, Robert McG. "Paul Steiner, Who Popularized Coffee Table Books, Dies at 83." New York Times, March 11, 1996. Marianne Steiner Collection (AR 10443), LBI Archives, Leo Baeck Institute, New York, NY. Paul Steiner Papers (AR 25208), LBI Archives, Leo Baeck Institute, New York, NY. Paul Steiner [unpublished autobiography] typescript (Acc. No. ME938), Paul Steiner Papers, LBI Archives, Leo Baeck Institute, New York, NY.